Unique and unforgettable rooms full of unparalleled history and modern style. 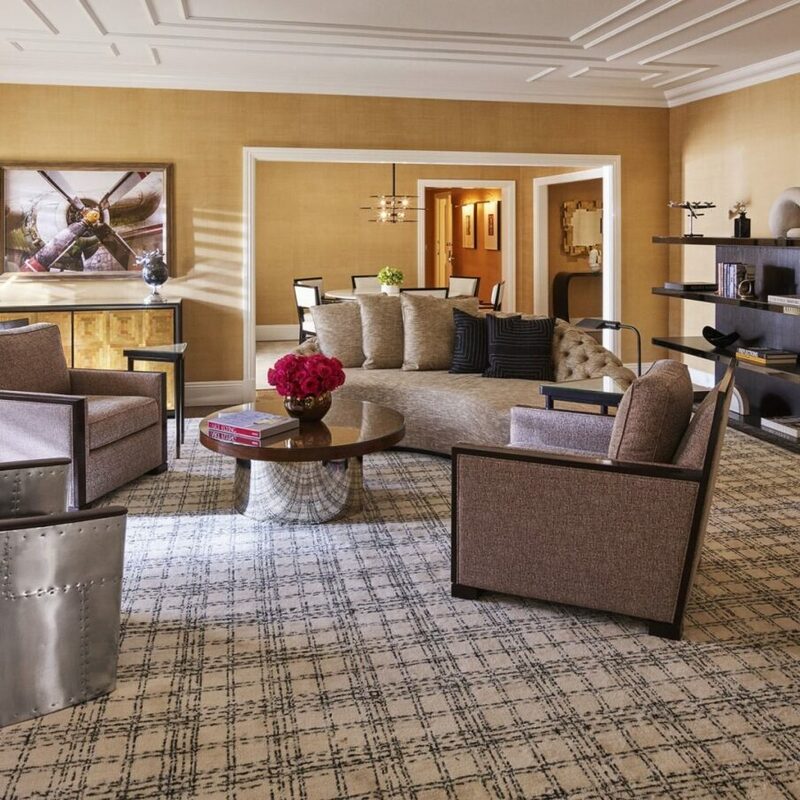 Spacious and airy, impeccably stylish with a dash of timeless Hollywood glamour. 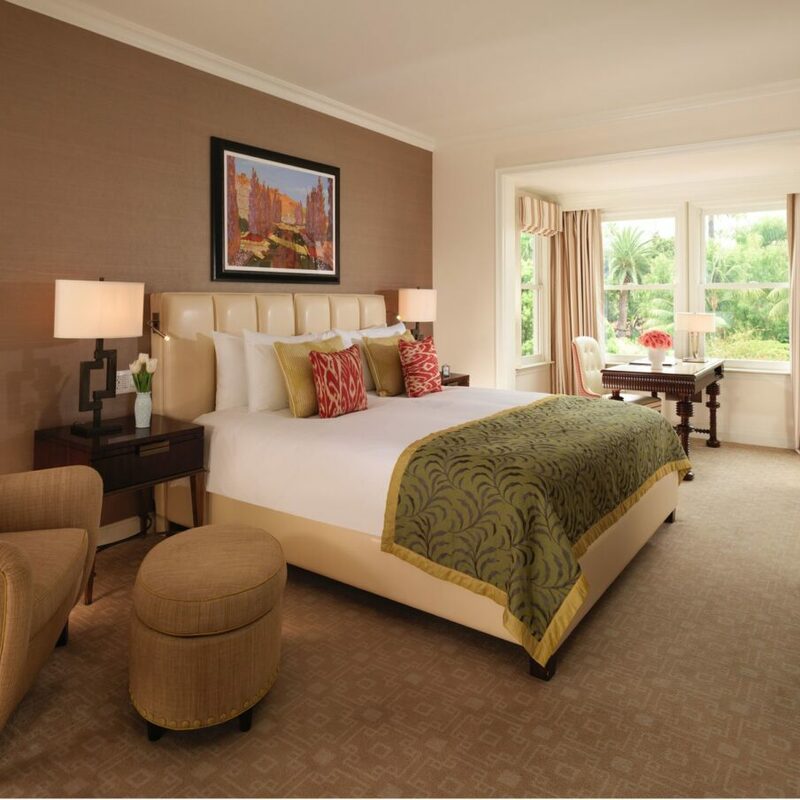 Perfect for the business traveler in search of some luxurious comfort and a true home from home. 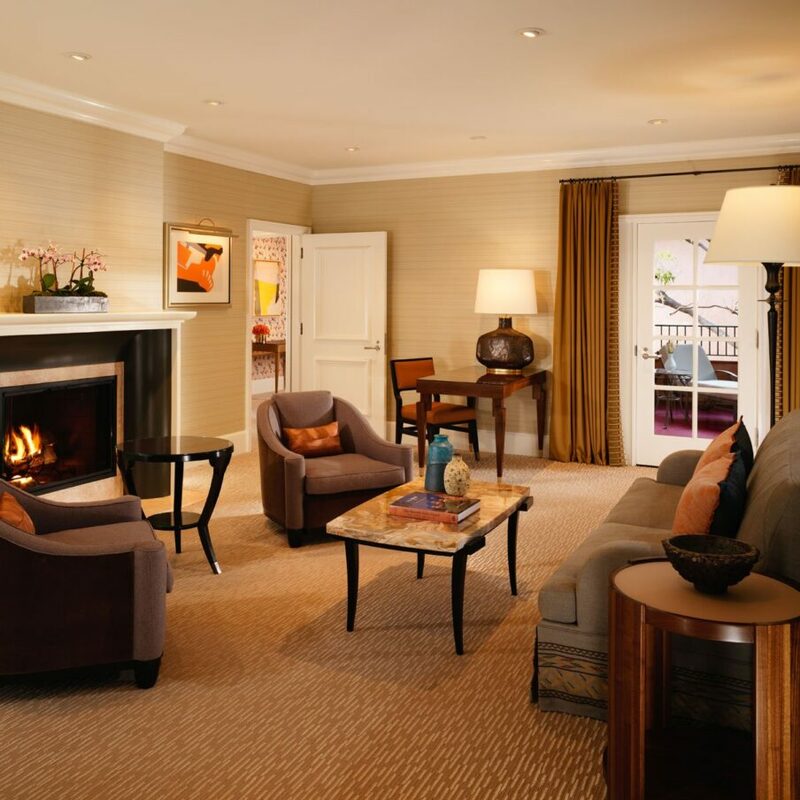 Elevate your stay from stylish to superb with a bit of LA sunshine. Your balcony brings the freshness of fragrant gardens right into your room. An elegantly modern twist on a classically LA style. These are wonderfully peaceful and private rooms with plenty of comfortable space. The iconic bungalow rooms. Bathed in soft colours and the glow of history and hidden amongst the timeless, tranquil gardens. 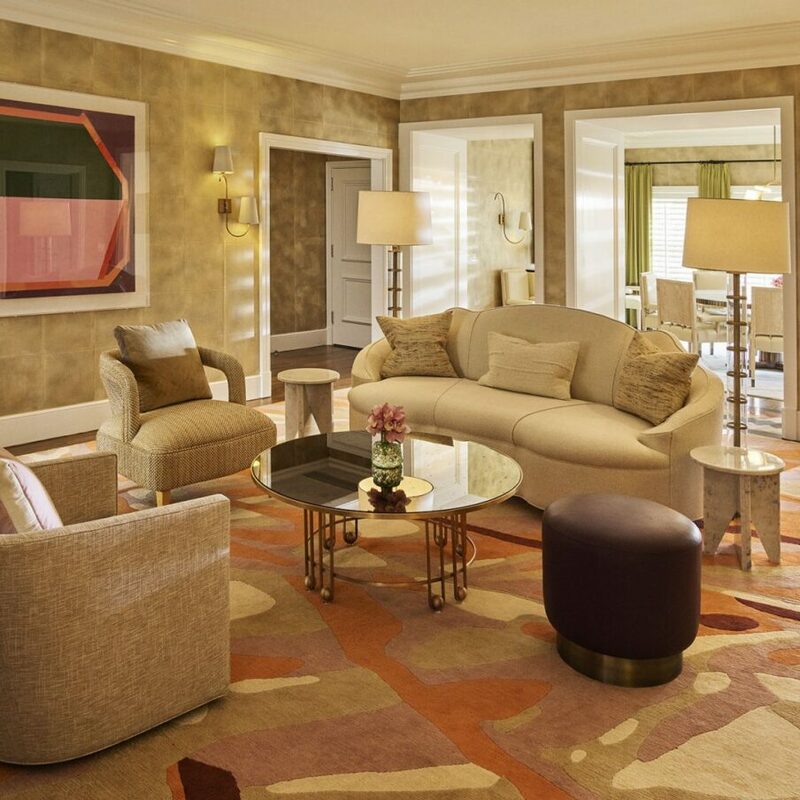 Immerse yourself in vintage glamour and modern luxury. A peaceful space with everything you need. A luxurious example of modern Californian style overlooking the city or lush gardens. 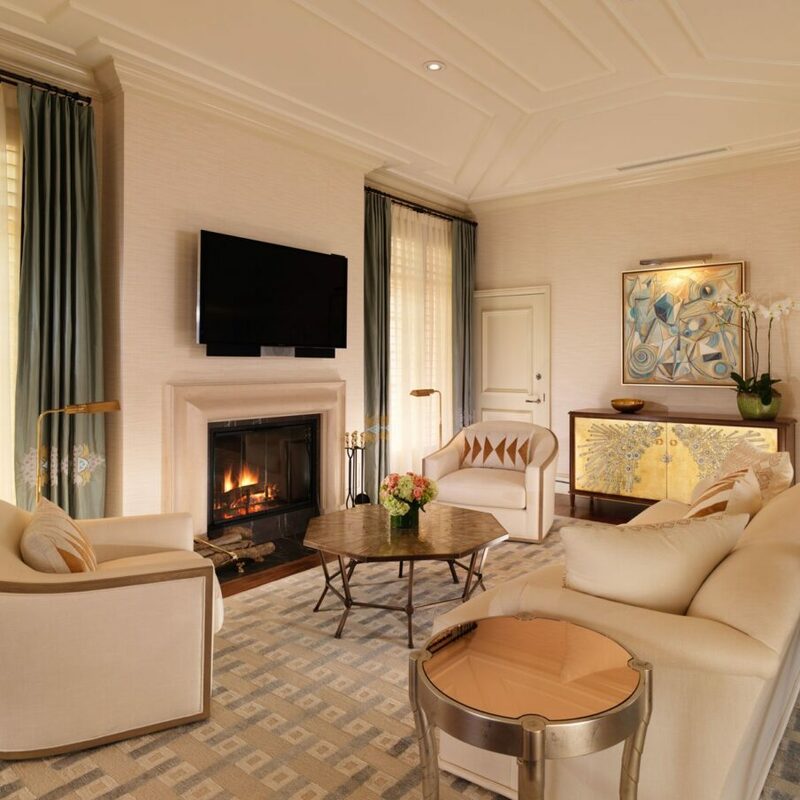 A much-loved suite in the nation’s most famous zip code. Spacious, elegant and utterly charming. Pure comfort awaits. 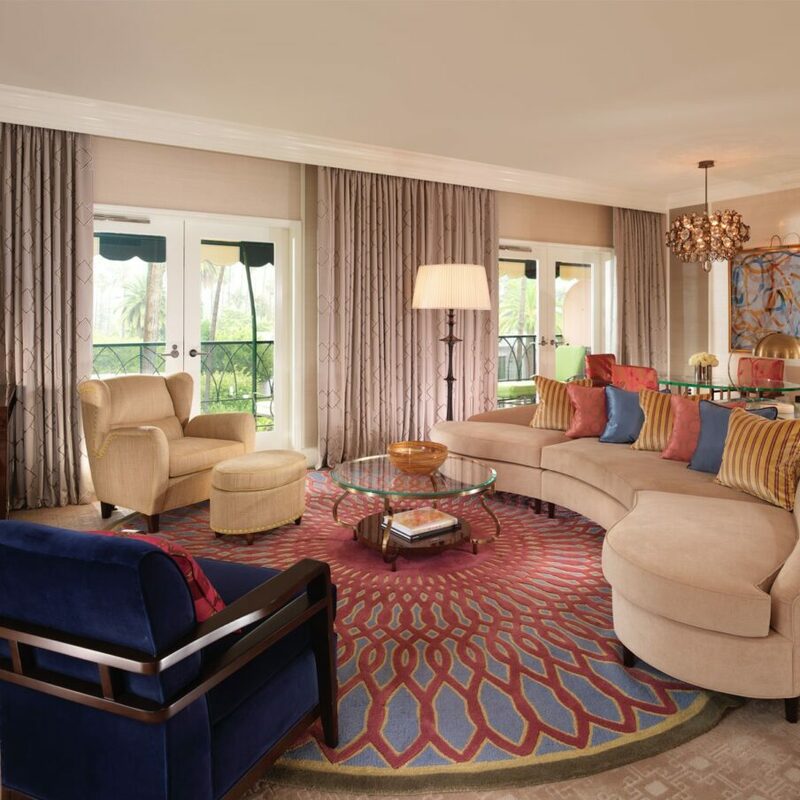 Beyond the pleasure of your gloriously spacious suite awaits your patio. Soak in the famous LA sunshine and celebrated history that surrounds you. 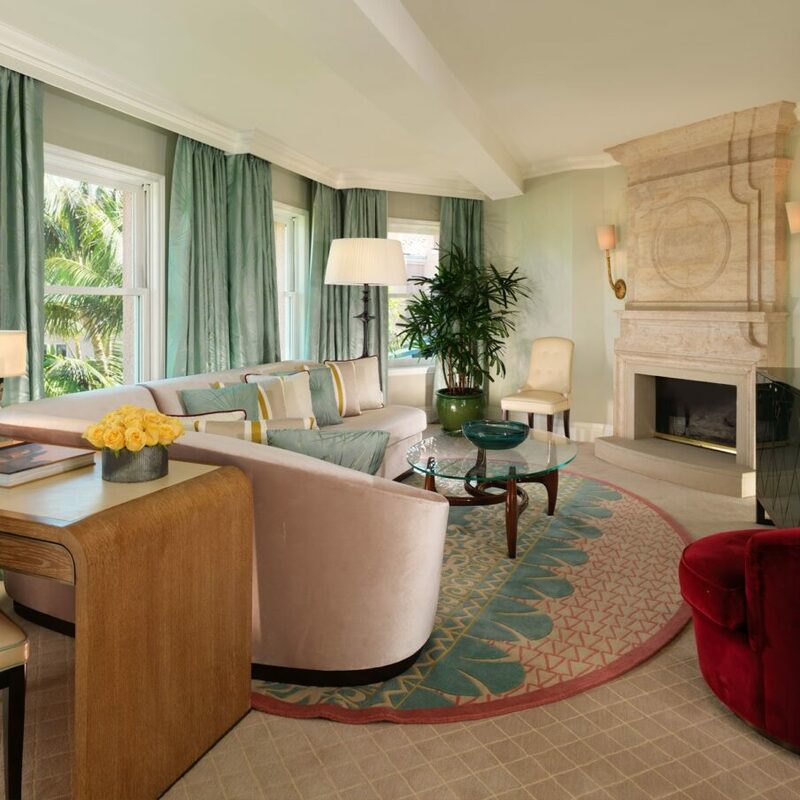 A separate living room adds the sense of home to this beautiful suite. Relax in the Old Hollywood style and feel truly, magnificently comfortable. Step into the Hollywood dream of having your own patio amongst these famous and beautiful gardens. This is your moment to lie back with a drink and admire the blue sky above. You’re here. 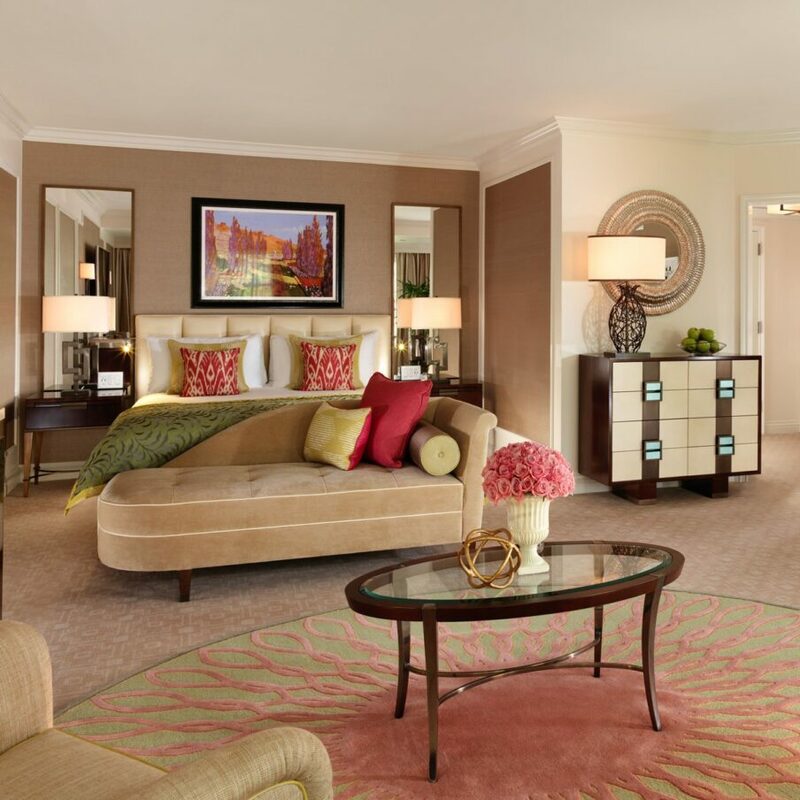 Live in utter splendour surrounded by fine furnishings and an air of distinct Hollywood exclusivity. From your balcony the whole of Beverly Hills waits to entertain you. 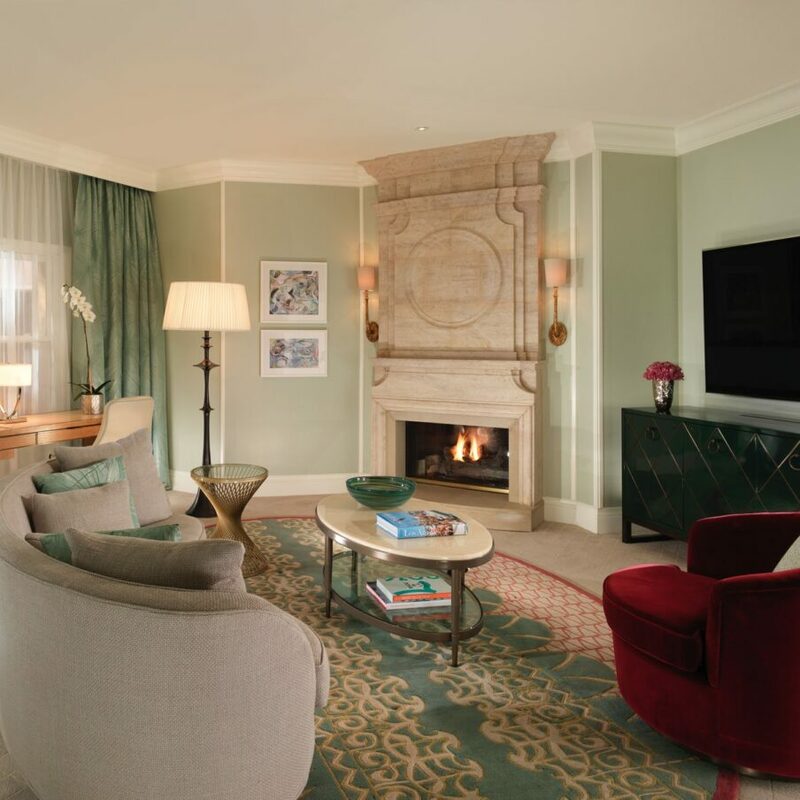 A most glorious suite full of wonderful furnishings, stylish warmth and lashings of cool elegance. Your incredible bed and spacious patio will make it hard to leave. 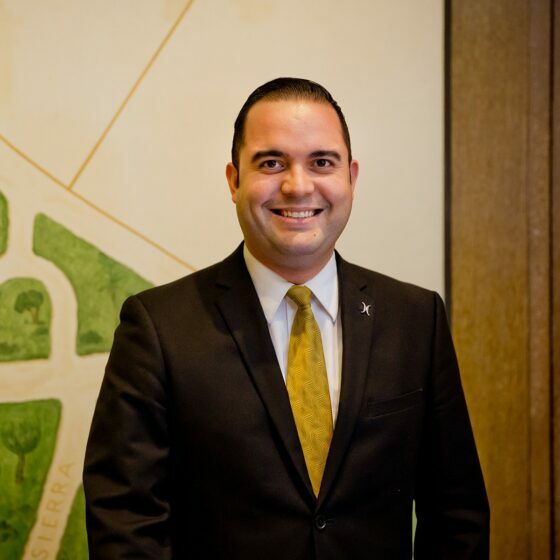 The very name conjures the attitude of this suite. The glamorous style influences, the luxurious fabrics, the touches of vibrant colour. And of course, the view. What is Beverly Hills without the view? 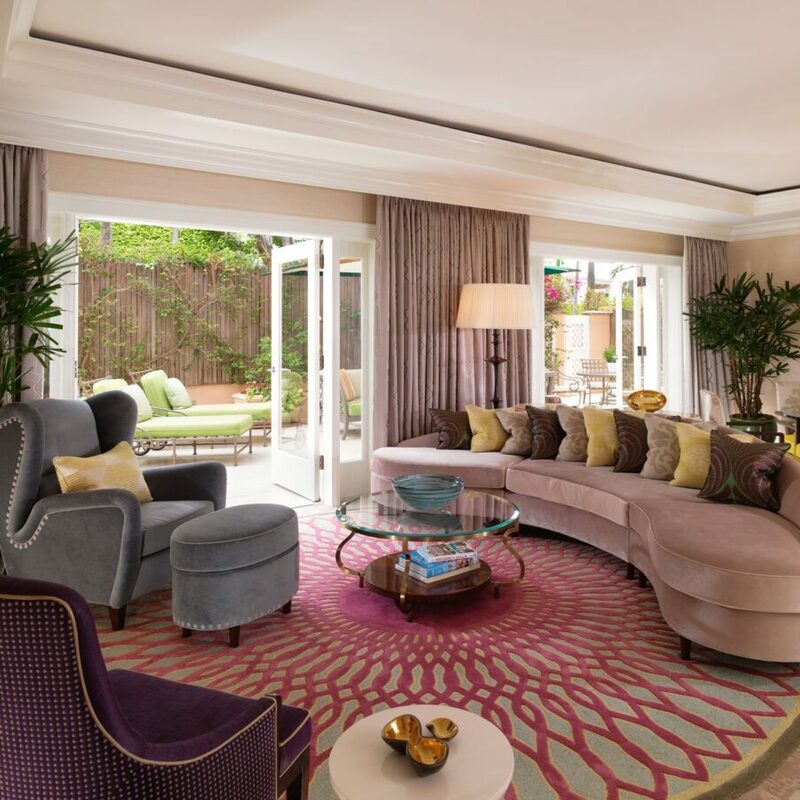 The epitome of ‘Pink Palace’ attitude and a wonderful suite in which to truly feel part of our history, style and culture. Plenty of room for entertaining or having your own, luxurious LA moment. Historic elegance with a large patio for entertaining and a cool, 1950s vibe. 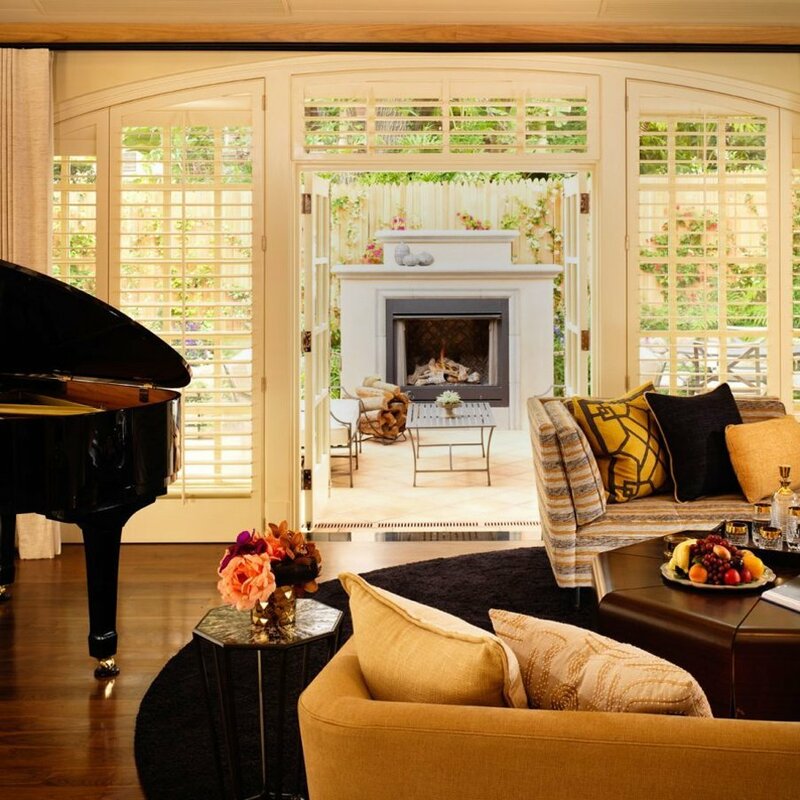 Enjoy a drink from the famous bar, try your hand at the piano or just relax by the fire. 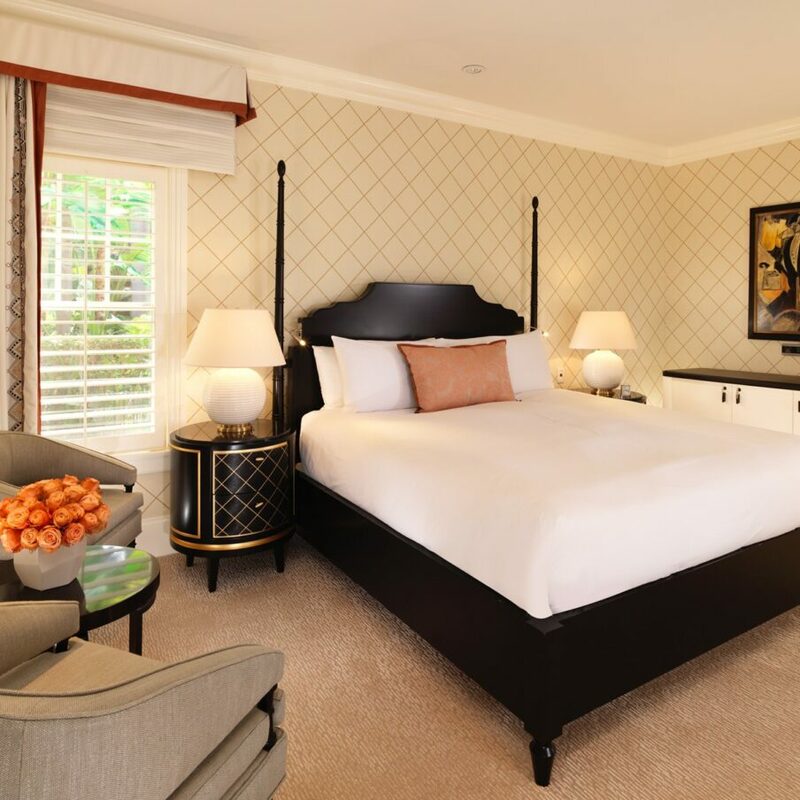 More of a premier house than a premier suite, with large airy rooms, a full kitchen, dining area and the elegant patio for those sunny days and warm LA nights. 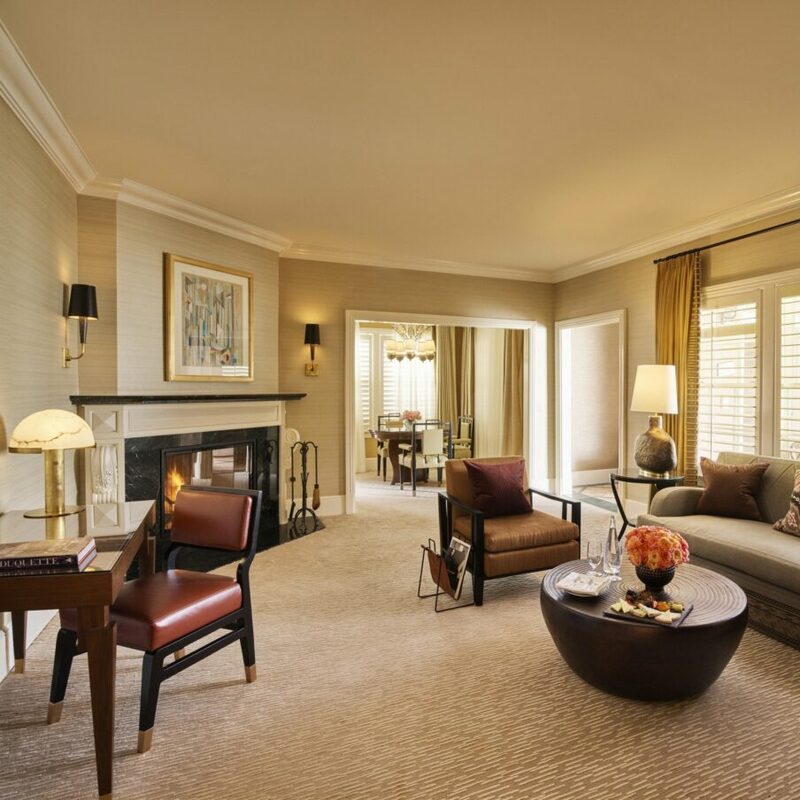 One of LA’s finest suites. 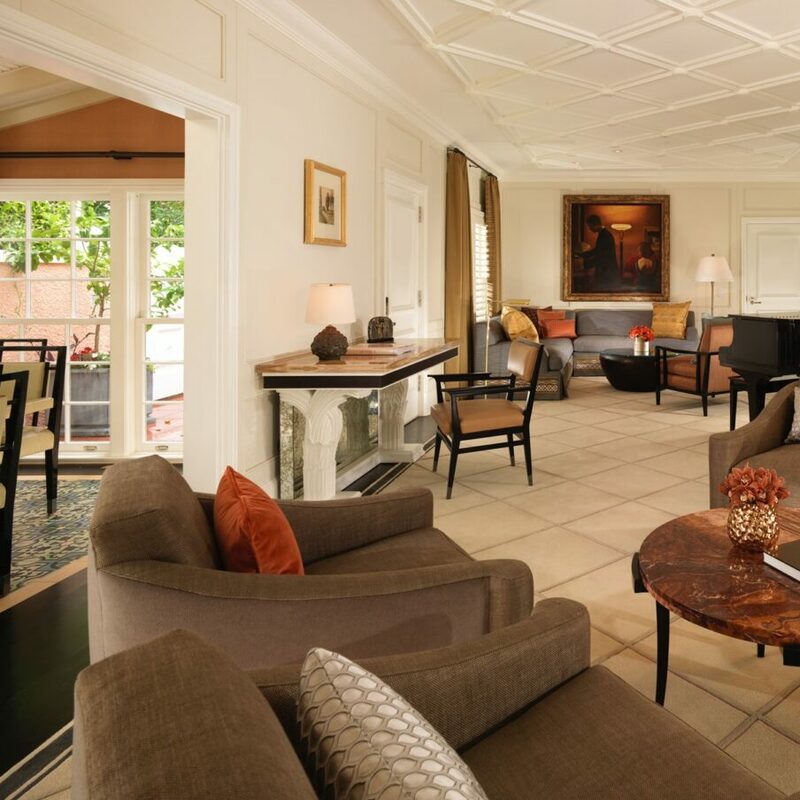 Ideal for high-level entertaining or your own celebrity-style getaway in an iconic setting within a legendary building. 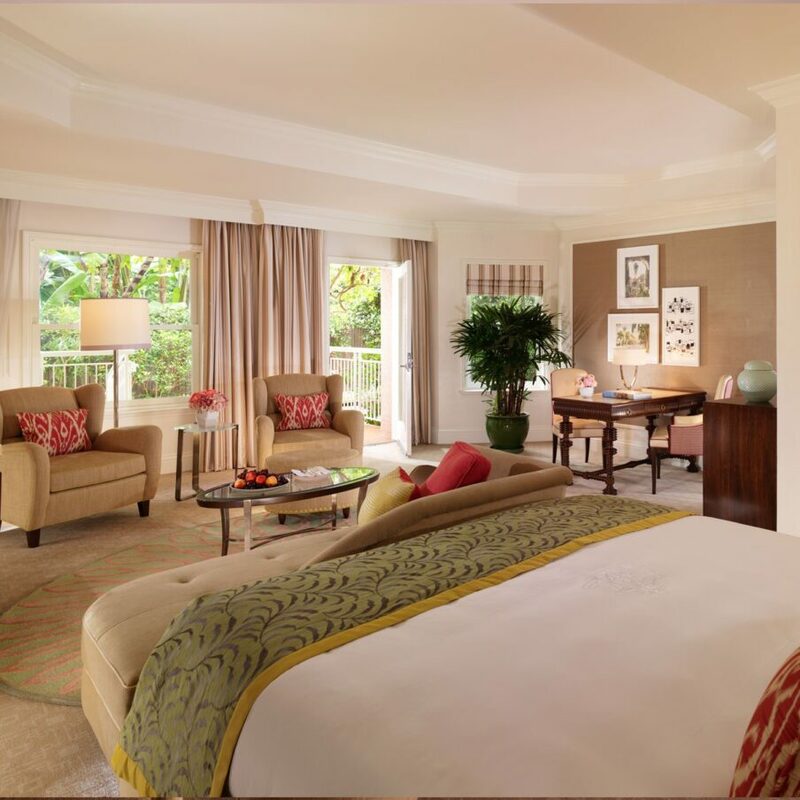 Hide away in our lush tropical gardens with fragrant hibiscus, colorful bougainvillea and majestic palms. 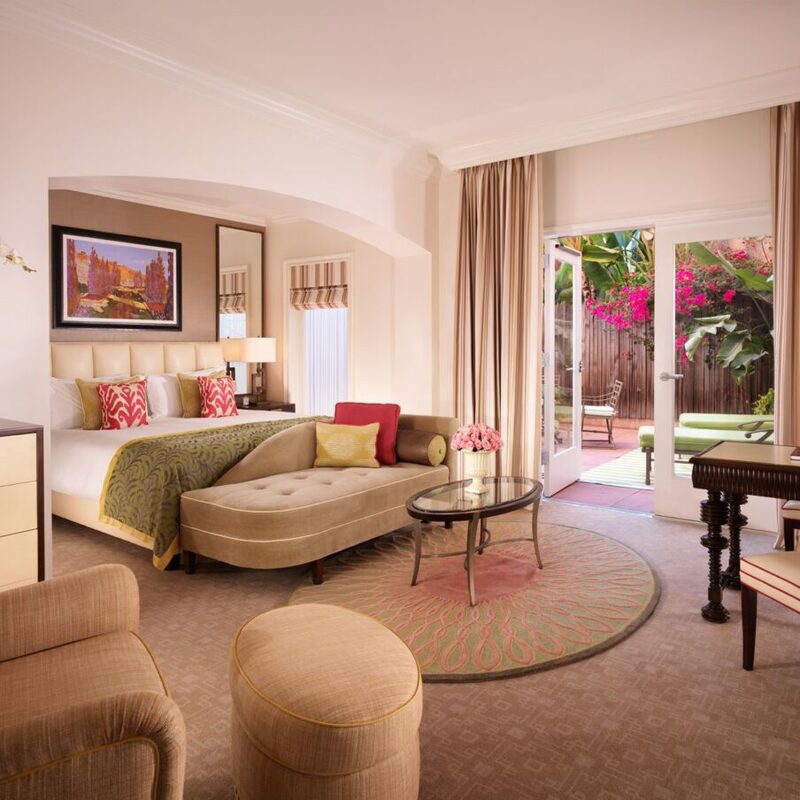 Nestled amongst the blooming bougainvillea and tropical palms is the suite for total privacy. The vintage design and private outdoor view reminds you that you’re staying somewhere very special. This secluded hideaway brims with elegant charm. Your own patio provides a tranquil moment amongst the Hollywood buzz, or cosy up in front of the fireplace on those starry LA nights. 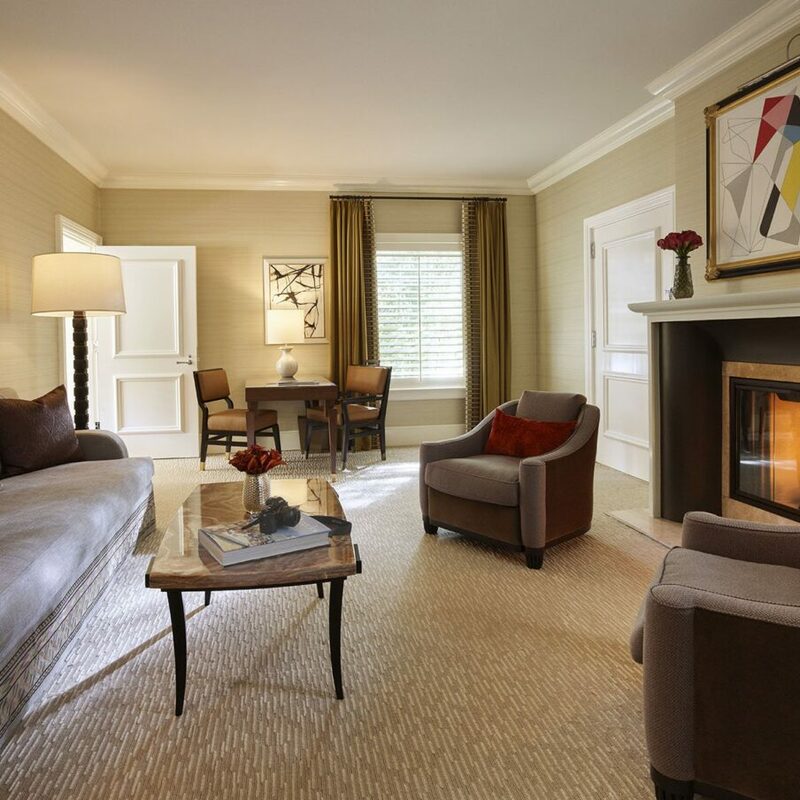 Sunshine on the veranda and a statement fireplace give your suite the warm sense of home. 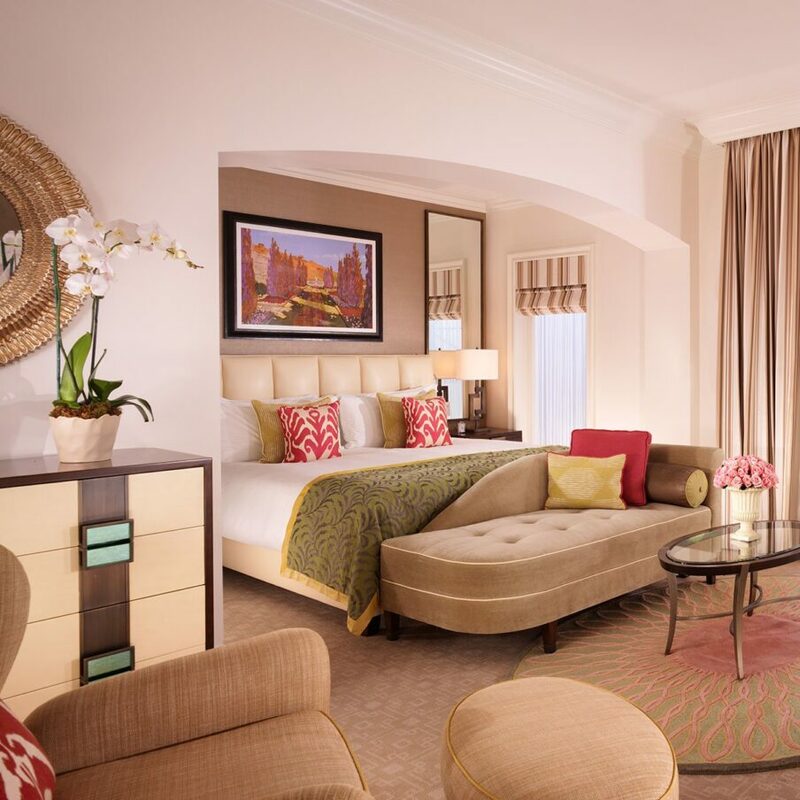 These are beautiful rooms in which to enjoy the fresh blend of vintage style and modern luxury. A modern interpretation of traditional design. The expansive outdoor patio features a private infinity pool complete with underwater music, a fireplace and outdoor shower. 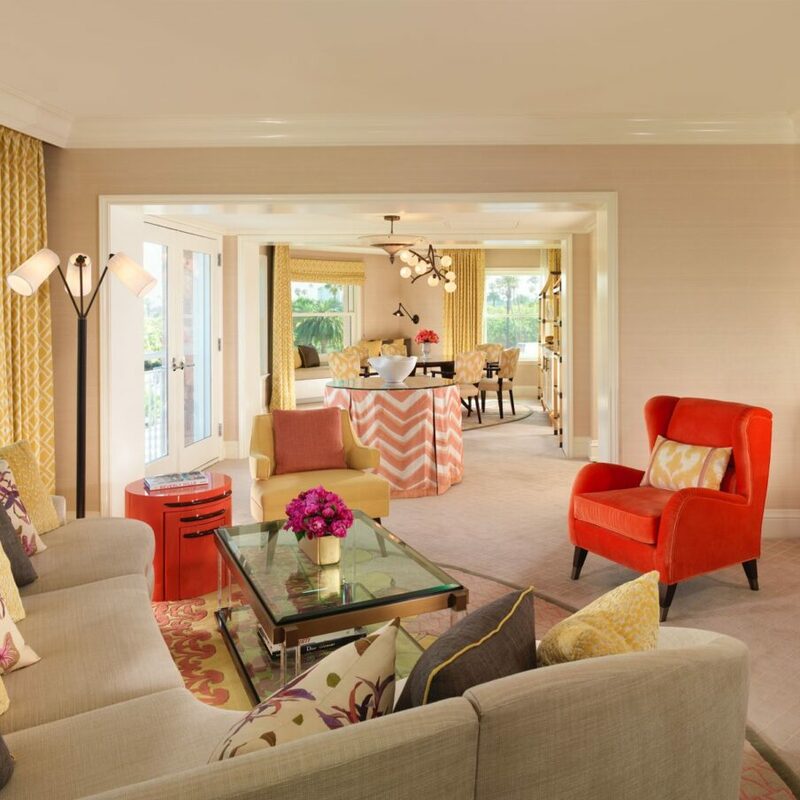 Experience the height of style and elegant luxury in one of our most exclusive, individually designed Bungalow Suites. This bungalow was Marilyn Monroe’s, and now it’s yours. You can almost picture her padding around in a fluffy robe and slippers. Warmth and femininity abound in this newly-restored bungalow that’s number 1 in so many ways. Howard Hughes was a beloved guest at the hotel for 30 years, and it’s the bungalows he chose to call home. Thoughtfully restored, Bungalow 3’s stormy bold colours, dark stone and rich exotic woods pay homage to the mysterious life of the reclusive billionaire. 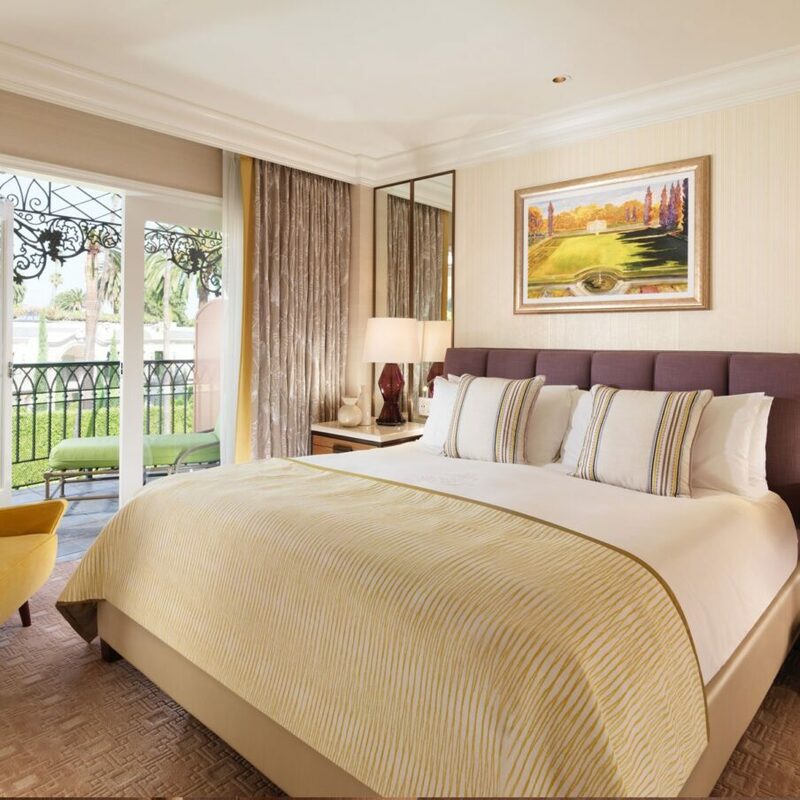 The famous 5, the heart of luxury and old-school glamour. 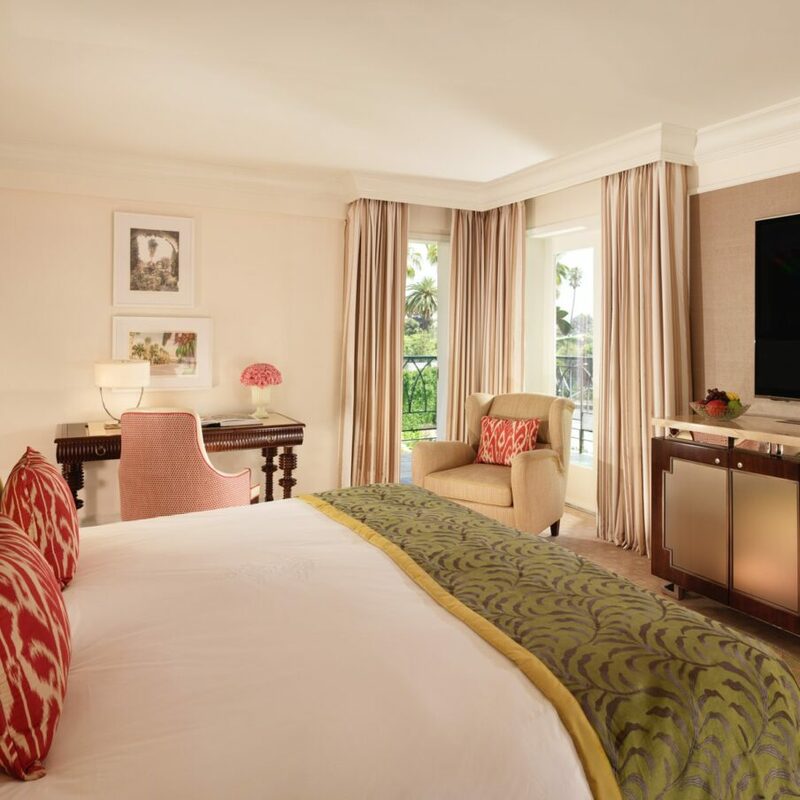 Your place amongst icons, your suite of family-sized delight. Simply step from the bedroom, through French doors, and there’s your pool. 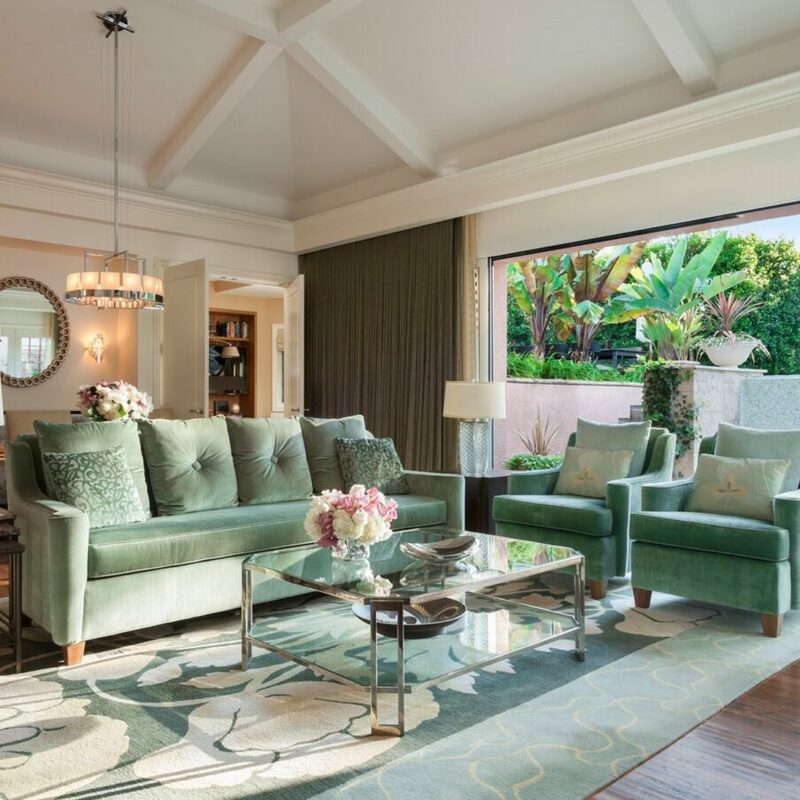 The iconic Palm Springs aesthetic, strong, fresh design and a wonderful octagonal ceiling. A mid-century playbook of style with custom-made furniture, an incredible terrace fireplace and, of course, a grand piano.